Friendly and always helpful service. The people are great with customers. I rate their customer service #1. Thanks Andrew. I purchased my first BMW from Moss Motors. The experience was wonderful and stress free. The staff was very helpful and professional. I’m so excited! Would definitely recommend this dealership to others. We have worked with Chad Trotti when purchasing a BMW on several occasions, and he is always a pleasure to work with. He is eager to meet our needs always greeting us with a big smile on his face. We can’t imagine having anyone else helping when buying a vehicle. Although his job title is "Sales Consultant," I consider him a friend. This is the 3rd convertible I have bought from Chad and the experience has always been great! I continue to refer friends to him and Moss Motors! 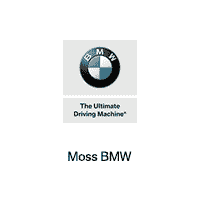 I previously used Moss Motors BMW Service Center in Lafayette for maintenance issues with my BMW. My experience with them has been satisfactory and there service personnel were very professional. They were very generous with their coupon offers and went the extra distance to provide me with an exceptional feeling of complete customer appreciation. Fourth (4th) purchase of The Ultimate Driving Machine from Moss Motors. Third time we bought a 7-Series from Michelle Newland. Just those two data points should speak volumes more than my vocabulary can articulate here. I called Michelle at 9AM, discused what we wanted and drove off in a 2019 740i that afternoon. Magic!